As an AFL Hall of Fame member it’s no surprise Carey is recognised as one of the greatest players to have ever played Australian rules football. A dual-premiership captain at North Melbourne, four-time North Melbourne best-and- fairest and seven-time All Australian, Carey, nicknamed “The King”, or “Duck”, was one of the best center half forwards to have ever played AFL. In 2001, he was named as center half forward and captain of North Melbourne’s team of the century and in 2008 was named as Australian football’s “greatest ever player”, as part of a list of the top 50 players of all time. This accolade can be found in the book ‘The Australian Game of Football’, which was released by the AFL to celebrate 150 years of Australian rules football. Carey played 272 games and kicked 727 goals from his debut in 1989 until a disc-related neck injury led to a premature retirement in 2004. This marked the end of Carey’s illustrious career that spanned 16 seasons, including his last 2 seasons as an Adelaide Crow. Following his retirement, Carey assisted former coach and mentor Denis Pagan at the Carlton Football Club as a voluntary part-time skills coach in early 2005. In 2006 he served as an assistant coach at Collingwood Football Club whilst also acting as a commentator and host of various shows on the Fox Footy Channel. In 2007 Carey transitioned full time into the media and was a member of the Nine Network’s football analysis program Footy Classified. Following some heavily publicized personal issues, Carey took a step back from the limelight and chose to focus on his private life. In 2012 Carey slowly stepped back into the football and media spotlight by joining the Triple M Melbourne AFL commentary team and ONE HD’s The Game Plan. In 2013, he joined The Marngrook Footy Show on National Indigenous Television as a regular panelist and later that year he joined the Seven Network to host a series of Talking Footy specials alongside Bruce McAvaney, Luke Darcy and Andrew Demetriou to cover both the Essendon drugs scandal and the finals series. In 2014, Carey joined the Seven Network as a Friday night Expert and a panelist on Talking Footy. By 2015, Carey had cemented his role as one of the most coveted expert voices in the AFL and this has remained true ever since2016. Carey is part of the Seven Network’s marquee Friday-night commentary team, is co-host of Talking Footy on Mondays and work’s within Triple M’s AFL broadcast on Saturday’s and Sundays whilst also writing a weekly opinion piece in The AGE Newspaper. 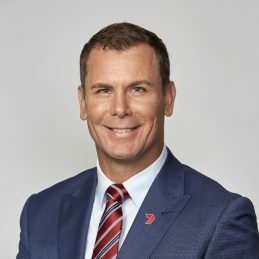 In 2018, Carey is one of the coveted expert voices in the AFL as part of the Seven Network’s marquee Friday-night commentary team and co-host of Talking Footy on Mondays. Along with his work within Triple M’s AFL broadcast on Sundays and his weekly opinion piece in The Age Newspaper. Wayne also provides AFL content to Crownbet through “Ducks Roast” during the footy season.